The SEC has released a series of frequently asked questions on its 2014 reforms of money market mutual funds. The FAQs represent staff views on the new rules and address a number of issues including which investors would be eligible to invest in retail prime money market funds starting in October 2016 when the reforms take effect. 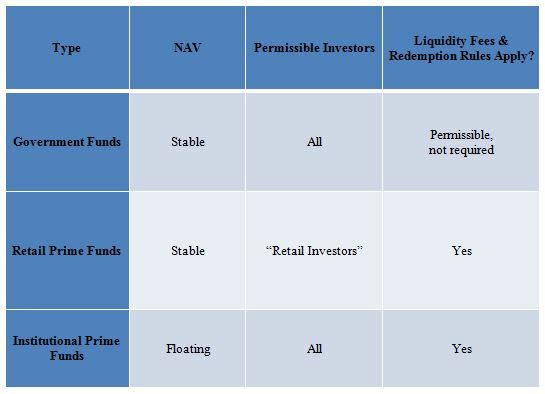 As background, retail prime money market funds will be allowed to keep a stable net asset value per share and may invest in corporate debt (as opposed to government money market funds, which are generally limited to cash and government securities).